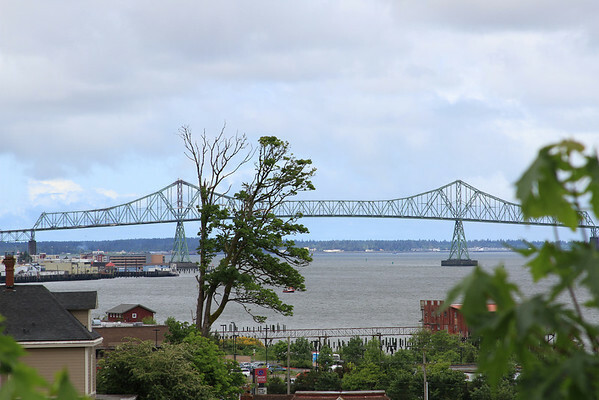 Astoria has really turned into “Portland’s Out of Town Escape”. 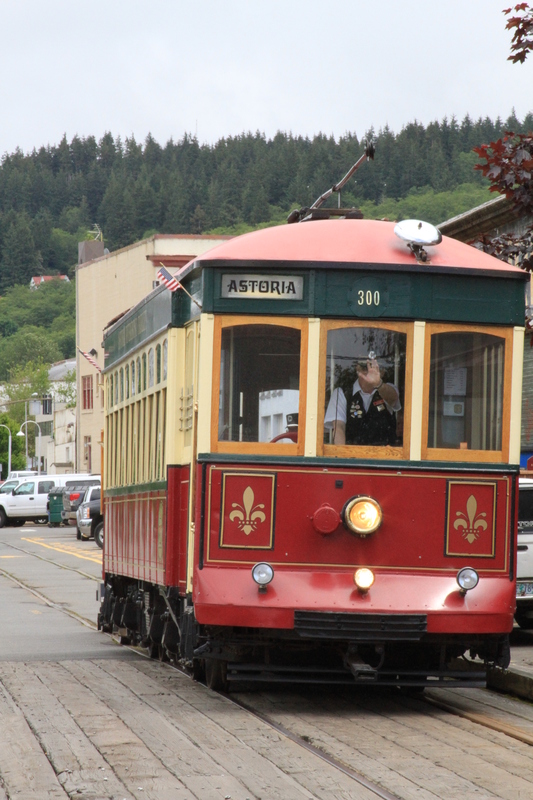 It’s a great small town right at the mouth of the Columbia River. There’s a spectacular, albeit insane, bridge that goes from the Oregon side to the Washington side of the Columbia. The reason I say insane, is that the bridge has no “emergency” side, is ONLY two lanes of minimal width with no divider or anything else to protect cars. So in the end, the bridge does not meet any modern requirements around an effective roadway. It is however a beautiful and magnificent bridge. When built, done so and paid for with tolls. The tolls of course, have since been removed and maintenance is done through general budget funds just as the vast majority of roadways are. That is, when roadways are actually maintained. Viewing the Astoria “Megler” Bridge from up on the hill near the Goonies house. 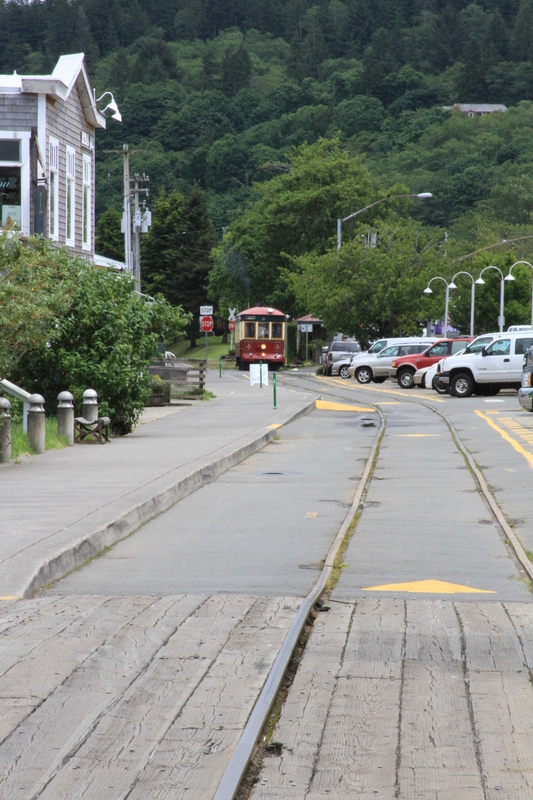 The town of Astoria was the shooting location for the movie Goonies also, which is a little bit of trivia. 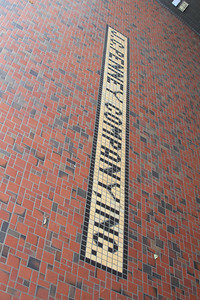 Downtown holds a lot of small jewels too. Almost a frozen in time appearance and downtown. 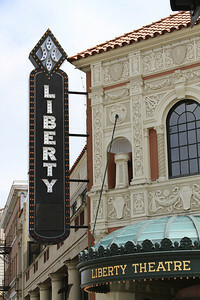 There’s the Liberty Theater. Which is a classic old theater that’s been renovated for special events and other merry making. From there my buddy Mike and I walked around town a bit. 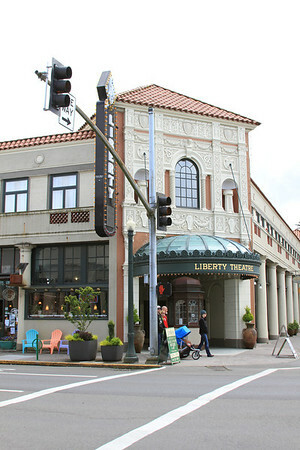 Checking out various places and eating at the Astoria Coffee House & Bistro. I had a prime rib and Mike ate something, I’ve no idea what. But don’t mistake this little coffee shop for some 2-bit bistro, they’re top notch when it comes to the food. Lots of high quality ingredients done right. From there I snapped a few more photos of things around town. One thing that stood out to me was this completely functional and retro classic JCPenny’s. 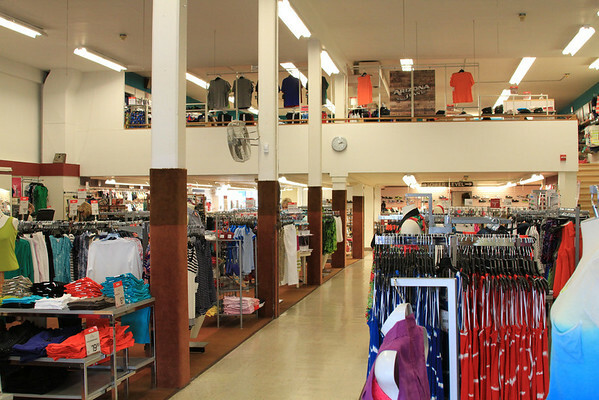 It was about 3k square feet per floor, 3 floors including the basement and top floor. I was highly impressed. Maybe there’s a little secret sauce that the current JCPenny’s might need to take note of. A few shots of inside reveal just how classic this business is. It’s like stepping back into the 1950s. A few other observations I made. 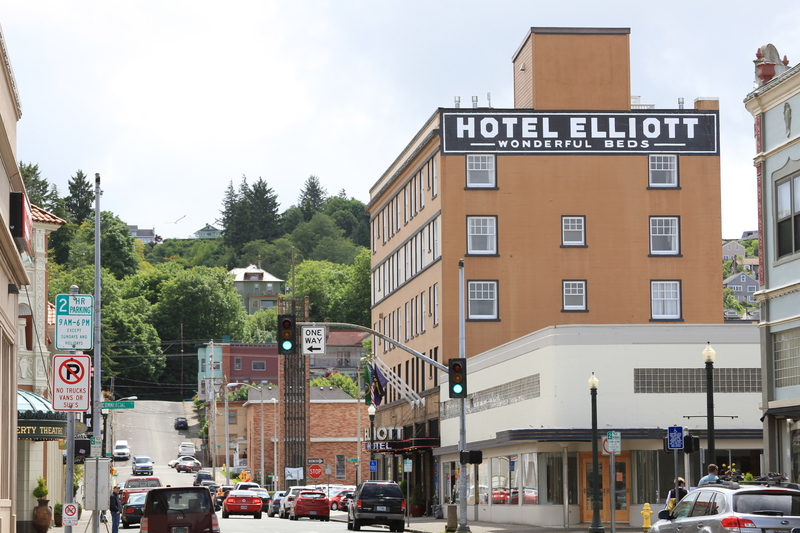 There are several classic, beautifully restored hotels in town. One of them is the Hotel Elliott. Note there is no “motel” and it is simply adorned with the original line under the sign of “wonderful beds”. Simple, elegant, straight forward and honest advertising. Another sign of the heavy Portland influence, albeit it becoming a normal thing in the US, is the growing presence of bikes. One might even say, a return of the bicycle to preeminence in US Society. 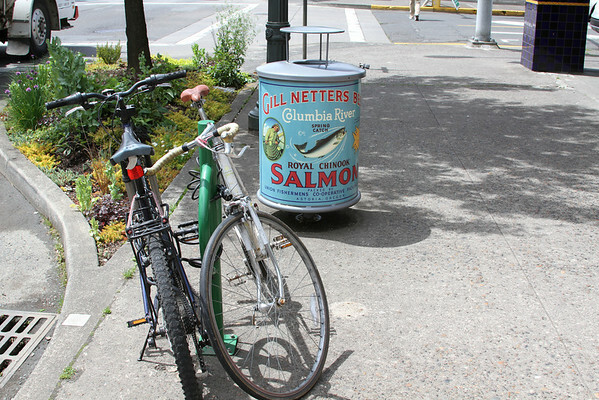 Here’s a shot of two bicycles on a rack besides a 20s style ad wrapped around the trash can. 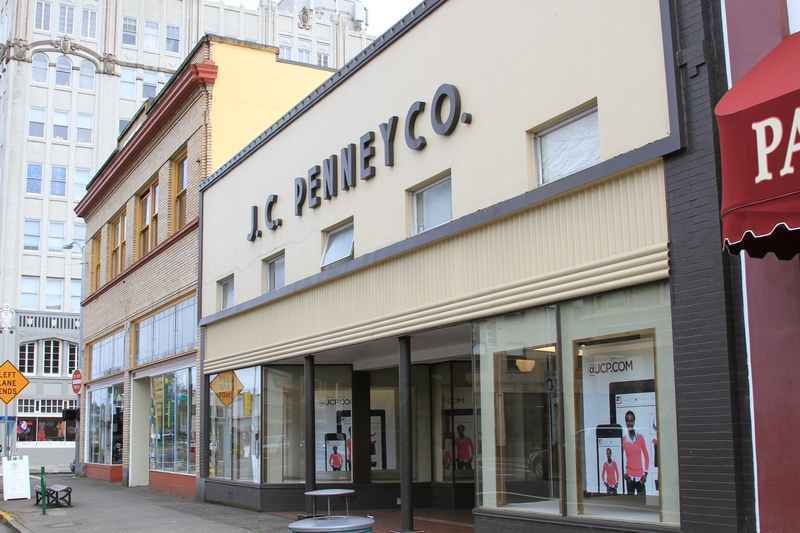 Again, following the classic style that all of Astoria tends to have in downtown. Classic ad wrapping the trashcan, two bikes racked up. 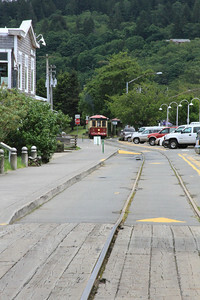 Streetcar coming down the way towards the docks. A little more strolling about and lo and behold, a Streetcar. It’s during the work week, so this is an interesting thing to see the streetcar plying the docks. 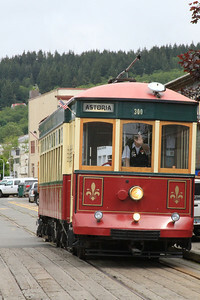 The streetcar, a standard electric trolley style, is powered by a diesel engine it tows behind the streetcar itself. Driver waving to the passerby. 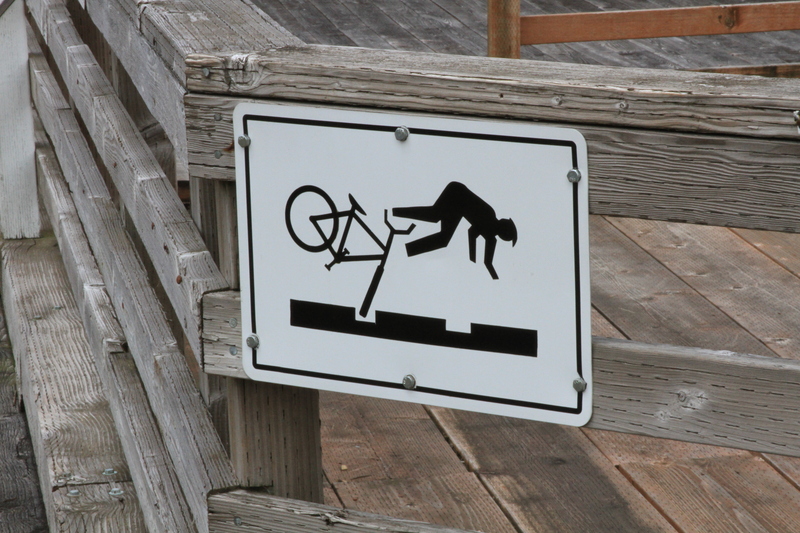 Of course, whenever you combine streetcars and bicycles, you’ve got to have a “fall on your face” sign. The falling cyclist sign! Ergaderp! …and for now, that’s it. Enjoy! 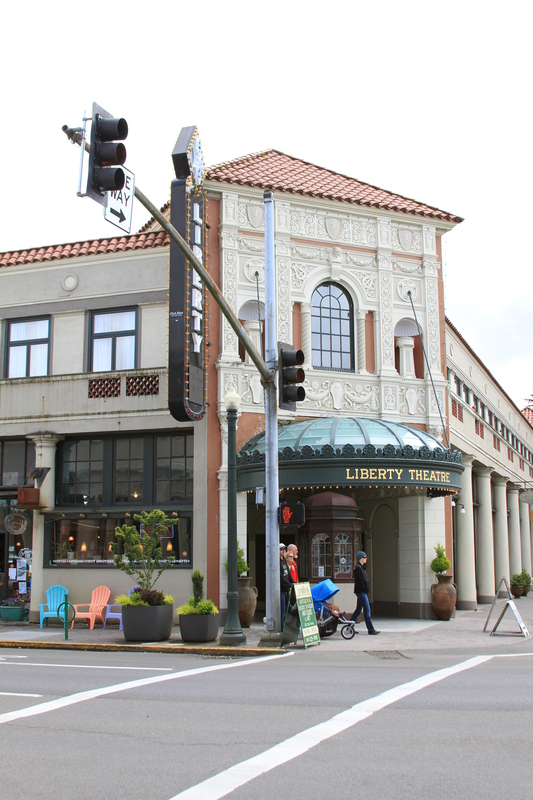 Next Post → The Portland Crow Attacks!! Awesome! I NEED to go there. Looks like a great place. Oh and that sign is hilarious! lol.